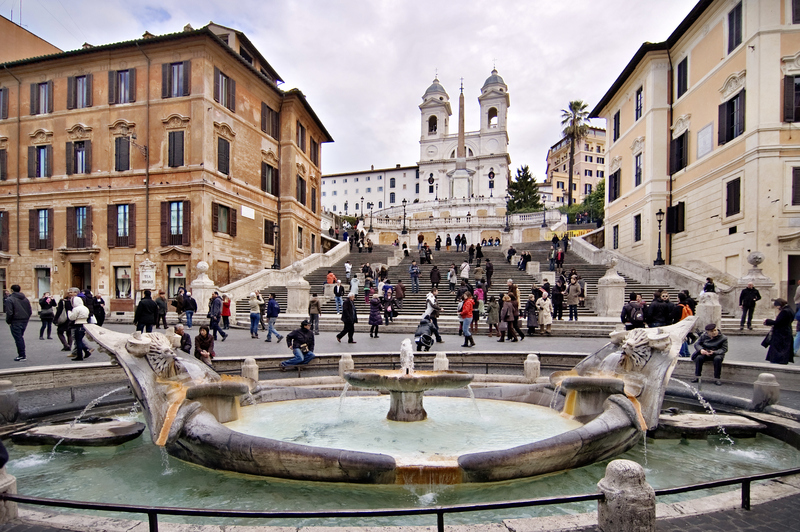 On the way from the Spanish Steps to the Galleria Borghese which was our next stop, a long walk that had taken the wrong direction took us to some right places. On the negative side, we ended up walking far more than we bargained for, but, on the positive side we chanced on a few things that we enjoyed too…but now isn’t it true, that you can always see more and more, the more you explore! It was a fine September day when we landed at Italy from our flight from Mumbai to Rome via Cairo on a Egypt Air flight. Although we craned our necks looking out over Cairo to spot the pyramids, Alas! we saw nothing but the desert and dust! Thankfully SSS wasn’t too uncomfortable during the flight and barely troubled us! There is a 3.5 hour lag in Italian and Indian time. By the time we reached the apartment we had booked, it was night in India and SSS was asleep. Our kind host at the apartment where we were staying had arranged for food and milk for her and even a baby cot for her. Tired out, as we were, we were fast asleep before we knew it as we looked forward to the next day. I have never been a fan of ‘places to see’. What I do live by though is ‘places to experience’. However, looking back, I realize Rome is one of those places where you want to see everything and experience it all as well! And it can get mighty difficult to balance it out unless you stay there for over a month! Be it long walks in a quiet neighborhood each different from the other, explore authentic Italian food places in Rome, do a wine tour, travel in the trains and buses and live like locals, enjoy the melodies from the quaint churches, watch the pigeons flutter at the fountain…All the ‘experience’ is challenged by the need to run from one Roman pillar to another Roman post..from the Vatican city to the Colosseum to one museum after another..and yet, there is still so much to do and see that it gets overwhelming. So in this blog, I am going to tell you how best you can experience the city and see some of it as well! It was a chilly morning as we started out after a home-made breakfast. 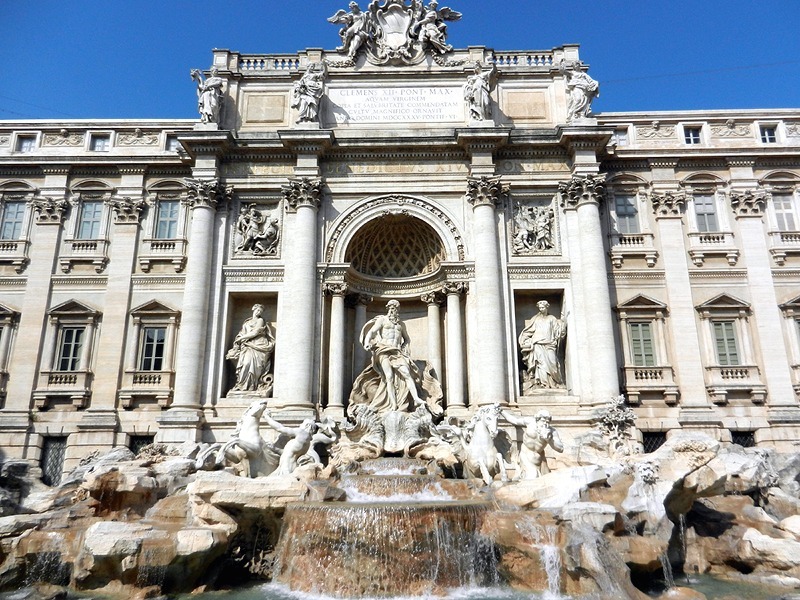 We were off to see the Spanish steps, the Gallery Borghese and the Trevi fountain in our itinerary. We decided to walk to our destination. As it turned out, it was quite a long walk, but one that we really enjoyed. The vibe of a place can be best felt through a leisurely walk through it. We ambled along smelling the coffee and fresh bread smells that wafted through cafes, passed joggers who had finished their morning jog, and ofcourse hordes of tourists referring to maps like us and looking around in wonder. We noted some of the crumbling architecture of Rome, how the new and the old buildings co-mingled- none , the better than the other. Outside seating of restaurants were being set up and looked inviting. We passed a couple of churches on the way, passing those little fountains on the way. It was hard not to stop and look at every insignificant place that looked interesting and to cut a long walk short, we walked for over 2 hours for what should have been a 45 minute walk! Tip – Airport transfer: For the airport transfer we just took a taxi although there are cheaper options of using a bus or the train. It cost us €48 which was about €20 more than we would have paid for other modes of transport. But well worth it considering we were tired out and weren’t in a mood to lug the luggage looking for the apartment! The Leonardo Express train leaves every 30 minutes to the central Termini station and costs €14. The Terravision bus is another comfortable option and costs only €4 but leaves less frequently after every 60 minutes.